In these days of digital business scenario, organizations demand that their websites/applications be more competitive. They would never perhaps want to encounter a Situation where they would have responses from their customers that would say that the website is under construction or, Error in the page” or, “the page is currently unavailable.” It is but an understood fact that websites, as well as applications, must offer an infinite experience to customers and would in facilitating better online transactions. Organizations must periodically assess their websites/ applications to check if they are capable enough to handle real-time high traffic loads. 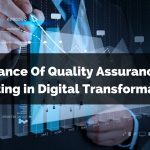 This is how load quality assured software training and testing helps by reducing any high risks and assuring a very reliable performance of the respective company’s website/ application/ software. This is a part of software training and testing on the performance which incorporates the process of putting the quality assured software application through rigorous, normal as well as the anticipated peak loads, so as to measure its response to such adverse conditions. In the process of load testing, the tester with the sophisticated testing tools demarcates the largest volume of job that the system could possibly handle. This would also include in you deciphering the load balancing issues, the capacity problems of the existing systems not to mention the bandwidth concerns even before your customers get exposed to these problems, thereby helping you save your time as well as by saving you from facing any unpleasant situations before the customers. Load testing is all about verifying the performance of a specific system under a stimulated multi-user, multivariate workload. 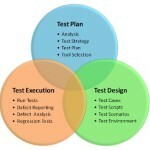 But having said that, it should not be confused with functional testing or stress testing at any point of time. It is an integral part of performance testing that assists in validating the effectiveness of any software training and testing application. There is a very thin line that differentiates load testing from stress testing. Where load testing ensures that a quality assured training and tested software/ application handles the load precisely the way it is meant to be handled; stress testing, on the other hand, is the overloading of the system until it breaks, so that the risks that get involved during the breaking could be studied. With the help of stress testing, we could be prepared for any sort of slippages and in the process fathom the limits of the system’s performance capabilities. 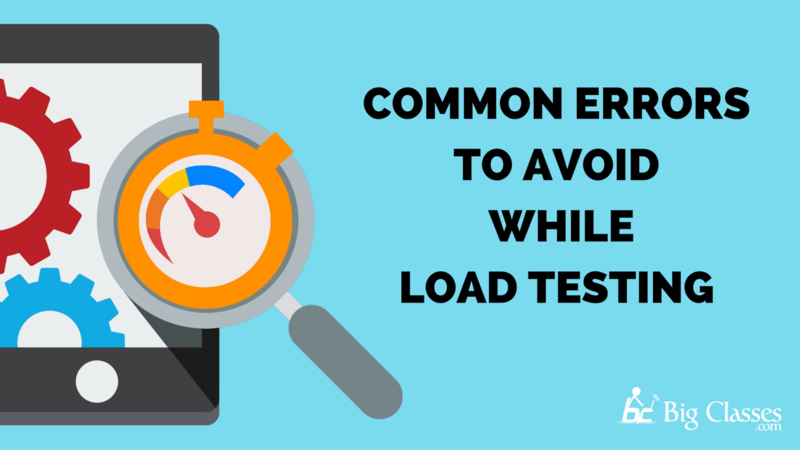 After having said that, load testing is different from functional testing. Their goals, their essential skills to perform, their test scripts, tools, technologies and the stages which they undergo during their production cycle are all different. The reason why functional testing is conducted is to ensure that the quality assured software testing and training applications even after undergoing their rigorous testing, function as they normally should and perform in a manner as the users want them to. Load testing, on the other hand, is performed to ensure that the given function can effortlessly handle the functions that it is intended to handle. Even though you would primarily be responsible for load testing and training, it might not be possible that you would be able to do so effectively as every system could pose a different problem about which you might not be completely aware. It would always auger well to involve others who possess a comprehensive knowledge of every part of the system so that they could mentor and guide and assist you with the proper quality assured software training as well as testing tools while you execute the testing. 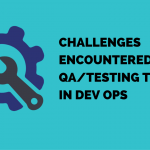 Unlike the case with functional software training and testing, load testing cannot continue operating when a bug gets detected and it first needs to be fixed before the tester could move ahead. After having analyzed and studied the metrics, the bugs could be identified and fixed which would permit you to test again and also prompt you to also create as well as run other specific tests. It is an accepted fact that NO system is perfect and if detected, there would always be an error. So, it is always better to restrict the software training and testing of a system until you get to achieve the acceptable performance levels. After that point, instead of going ahead with load testing the system and have it outperform its capabilities, it would do well to endeavor to assemble a system with state of the art functionalities. It is said that to err is very human. But it is always understood that we learn from our mistakes. It would do all the testers a whole lot good if they understand and appreciate the simple fact that they need to test both early and often enough and would have to fix problems as often enough too. So, it would stand them in good stead if they take up the initiative and arrest the problems much before they arise, thereby, saving up on precious resources in the long run. For it is better to be safe than sorry! We support you incredibly with a whole gamut of software training and testing modules where YOU gain an in-depth knowledge of the entire concept of testing and the process of how BEST you could anticipate and fix problems even before they arise so that you could save on the valuable resources of the organizations that you work for. Our exhaustive training would cover the entire gamut of the course in a manner that would have you carve as well as create long-standing lucrative careers for yourselves in the domain of Testing and training. Next: Why Big Data Analytics is the best career move?